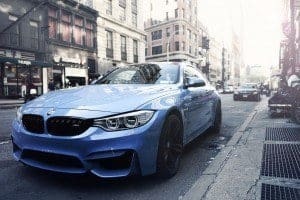 As one of the leading auto title lenders in Phoenix, Tempe, Scottsdale, and Paradise Valley, Phoenix Title Loans is proud to offer BMW Title Loans. With a luxury car like a BMW, you need more than what just a simple auto title loan can offer you. Auto title loans are generally offered for low values in the low thousands, with high-interest rates, so what do you do when you have a BMW that’s worth over ten times these values? You come and visit Phoenix Title Loans where you can get the high-value BMW title loan, with great interest rates for a car of this caliber. If you’re looking for BMW Title Loans, you’ve come to the right place. Due to the high value of most newer BMW luxury vehicles, we’re able to offer particularly attractive interest rates to our customers. While there are other qualifications that we’ve listed below, we consider these safe loans allowing us to pass on the savings in interest to you. Even a 3-year old BMW 335i in Very Good condition according to Kelley Blue Book, and with 100,000 miles, has a value of $20,000. With such a high value, most of the time our BMW title loan will be at a lower loan to value than with other similar title loans. This allows you to not only get a large sum of money in minutes but allows us to offer more attractive interest rates than other similar title loans. There are other qualifications listed below, but in most cases, you shouldn’t have to worry too greatly about them. If you’re unsure about the value of your BMW or worried about certain criteria and whether or not you’d be eligible for our BMW Title Loans, then call us, or fill out the contact form on our home page here. We can usually give most people a cash quote through e-mail as long as we have the pictures and some information. 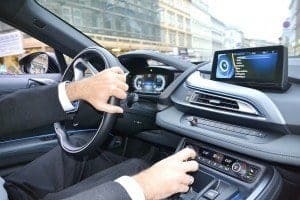 This is usually the smartest way to get BMW Title Loans, as it can streamline the process and have you in and out the door in a mere matter of minutes. Absolutely! While our competition will offer 30 days no interest on their loans, we’ll up the ante and come at them with 60 days no payment! That’s right, two whole months to get you back on your feet before you even need to make the first payment. We also have the benefit of accepting almost ANY vehicle as long as the title is free and clear. If it’s not yet, contact us and we can assist as best we can. And even IF you chose to go somewhere ELSE for your auto title loan Phoenix Title Loans can still help you out! We buy out title loans and even refinance title loans in case you feel it too much to handle. And at our location in Van Buren, our Boat Title Loans customers have the benefit of us storing their boats with us while they pay. Free up the time to get your loan paid and space around the home for whatever purpose in mind. What other Title Loan company is willing to provide these great services? Other than us, very few. Phoenix Title Loans, LLC, is unique to Phoenix, Scottsdale, Mesa, Chandler, and Tempe, in the sense that we can offer great interest rates. As discussed above, we make you a cash offer. If you decide to take less than half of the cash offer we’ve given you, then we will instantly and automatically lower your interest rate to 60% APR! There’s nowhere else in town that will come close to that rate, and if you need more than half, you can find out other ways to lower your interest rate here.